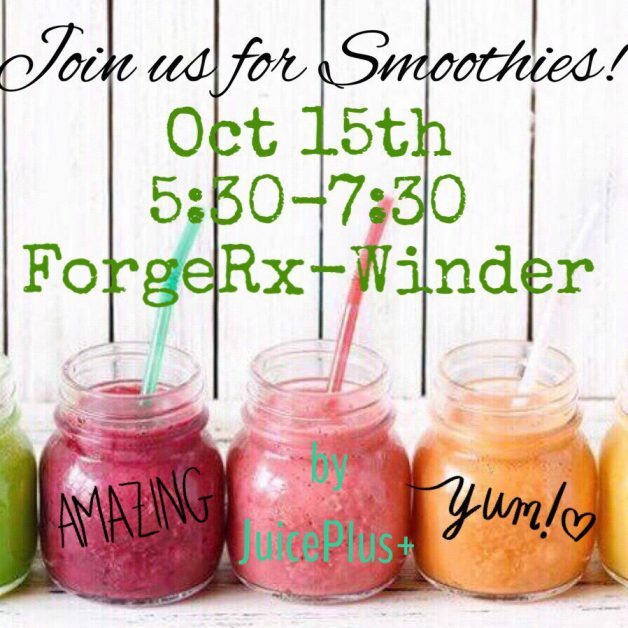 Smoothie Party at Forge-Rx in Winder! We at Forge-Rx love smoothies! Especially smoothies by Juice Plus. Whether you are a member or dropping by to try a workout we will have smoothies for before or after your workout from 5:30 p.m. to 7:30 p.m. at our location in Winder on Monday the 15th! Not a member? Grab a 5 day pass with the link below! Childcare will be available for first time visitors. Any questions email us at evan@forge-rx.com.